On Saturday I got a chance to go out for a test ride on a bike that completely autonomously controls the shifting for me. I simply pedal, and it simply shifts. Of course, such technology has been rumored for as long as Shimano Di2 electronic shifting has been rumored and around. But there’s a big difference between the manual shifting of Di2, and the automated shifting of gears based on complex algorithms found in Bioshift, by Baron Biosystems. And for understanding how it works, it was time to go hands on. Ultimately, the end-state goal with automated shifting is increasing efficiency. The effect of that is generally either increased performance, or decreased effort. 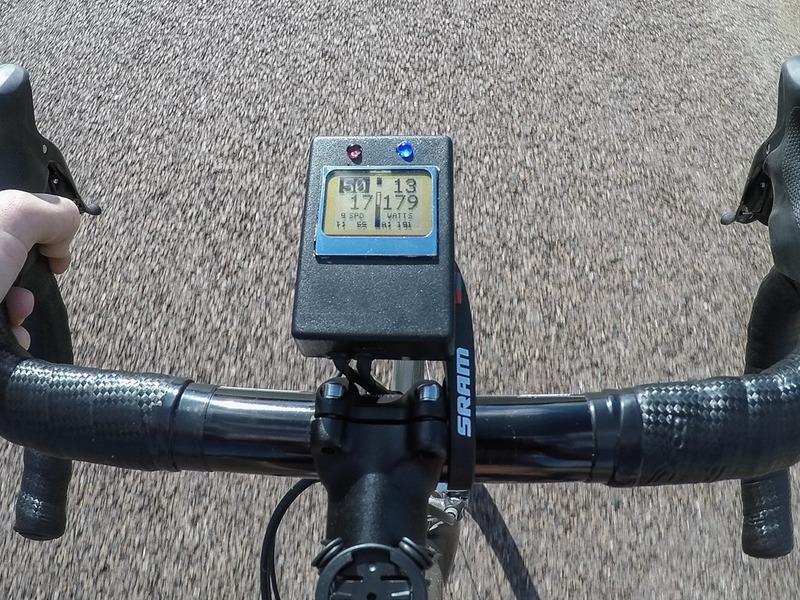 Said differently, the system can ensure that you’re pedaling at the most optimum cadence, helping you to avoid situations where you’re out of optimum because you’re too tired/lazy/distracted/whatever to shift the bike to a more appropriate gear. As a result of that, they’re finding with some elite athletes that they’re getting increases in wattage due to increases in efficiency. The second subset of use cases and goals is really aimed at assisting an athlete with pacing, be it in a race or training. Today, bike computers (such as a Garmin) can easily tell you if you’re above/below your target, be it a wattage target or a heart rate target. 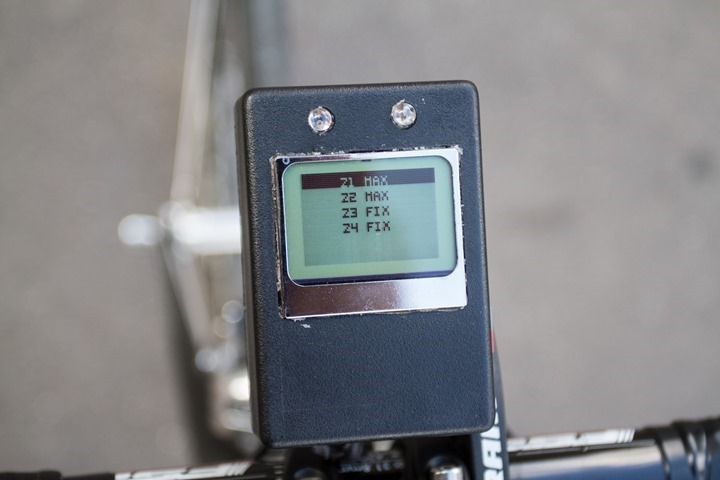 But ultimately those bike computers will only beep/chirp at you so much – it’s up to you to do something about it and adjust intensity/gears to maintain plan. With automated shifting – it’ll just do that for you. And on a bike, it’s shifting that controls effort. Thus you can simply set a race plan with a specific wattage target – such as 315w, and the bike will shift automatically to maintain that wattage. Similarly, it can do the same for heart rate or cadence. But let’s not get too far ahead of ourselves with respect to functionality. Next, said prototype head unit isn’t even required. It’s ultimately just a test platform for them to provide feedback to you. Long term, that’d likely be replaced by your regular bike computer doing it’s normal thing and also displaying the same bike shifting information. What is required though on that bike is a power meter. In this case, it’s the PowerTap, but they aren’t picky. As long as it’s an ANT+ power meter they’re good to go. Additionally they need some form of speed and cadence to be transmitted, either via a power meter or a separate sensor. Additionally, if you want to use heart rate to control shifting, you’d simply pair up your ANT+ heart rate strap. The head unit today is controlling the shifting via wires that stick out the back of the unit and ultimately end up in your shifters. Down the road, that could easily be wireless. Your existing derailleurs/etc all stay the same. None of that changes. Once the system is enabled (as I’ll discuss in detail), the platform will change your gears to keep you at whatever target you’ve defined. Yet, at the same time, you can always override it. It’s not a black box that you can’t touch or mess with. Instead, it’s just like hitting the gas or brakes when your car is in cruise control – it disengages it and allows you to take over. In order to get a better feel for things, we headed out for a test ride. In this case, I was on the bike the entire time, and free to do anything I’d like, for as long as I’d like. Armando was with me of course, mostly so I could ensure I understood the different operating modes. To begin, while you see a head unit there it has no buttons. All control is done via your existing shifters. In effect, they become your buttons. You can do long and short taps/holds to induce functions and even control the menu system. Once you’re up and riding, you’ll need to enable the automated system by doing a long press of the active left shifter. The reason you’d want to typically start off in manual mode is that it doesn’t have a baseline of power output to work from. So you want to get up to speed and then enable it. The same is somewhat true of frequent stop and starts found in city riding. While it’s certainly functional (I used it across Paris), it’s not quite as smooth there because it’s trying to figure out if you’re just coasting briefly or stopping altogether. At this point, it’ll control both the front and rear derailleur automatically. In my case, the bike was set into an efficiency mode. This means that regardless of my power output the bike will attempt to determine my most efficient gearing. This is semi-loosely coupled to a cadence range based on my FTP, but, it’s not set in stone as if there was a strict cadence value (more on the modes in the next section). When the bike is ready to shift, it’ll briefly blink a light about 1/3rd of a second ahead of the shift. Just a visual indicator that you’d catch out of the corner of your eye. Then, just like that, the shift is done. It just happens, and you don’t think about it. And that was ultimately the most impressive piece – it just works, it just happens. 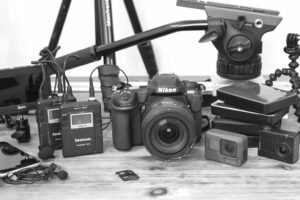 I didn’t feel like I was out of gear as the environment or situation changed. Now, the unit also has a standing up mode. While this could likely be detected (as Garmin does with Vector with cycling dynamics), for now they just have a simple toggle via the shifters to enable it. Within the standing mode it ‘locks’ the gearing on the front chainrings, so you don’t get any wonky shifts. It also only allows you to shift to harder gears on the back. This effectively mimics a typical sprint scenario where you’re just going for it out of the saddle. Which, is a good time to again note that you can always override the shifting instantly manually. Within that, you can set a parameter on the head unit as to how long to wait before the system re-engages and takes back over again. So you can have it be more aggressive on taking back over, and more lazy. As you can see, pretty straight forward once you understand what’s going to happen (which takes all of about 1 minute of riding to sort out). Of course, this is just an ugly box of a head unit – as I’ll cover later their goal isn’t to retail bike computers or head units. Despite their lack of head unit retail ambitions though, the boxy looking system does have quite a few functions built within it. The first is the ability to pair sensors, such as power meters, speed/cadence sensors, and heart rate straps. All ANT+. First up is the mode that the system operates in. In my case for my test ride it was in the ‘optimal’ mode, which means it just focuses on optimal efficiency regardless of power. Fixed Power: In this you just set a target power and rock to it. If you set 315w, it’ll keep your gearing optimized to hold you at 315w. Of course, you still need to put out the goods in the leg department. Max Power: In this mode you can specify a maximum power value to not exceed. Once it hits that value the system will keep you in gears that make it difficult to put out more power. This is ideally useful for a recovery ride, whereby you want to ensure you don’t go crazy on wattage. Fixed RPM: This mode will simply change gearing to maintain a fixed cadence. Fixed HR: In this mode you’ll specify a heart rate and the system will combine that with the optimal efficiency to produce gearing that allows you to maintain a given HR zone. Next, you can configure how reactive the system is to changes in your output. For example you can have it be more passive, whereby it thinks a bit longer before reacting. Or, you can have it be very aggressive in how it reacts. Lastly, like most head units on the market you can customize the backlight as well as the LED’s, and change your user/bike profiles (which can be loaded via the SD card on the side). Additionally, you can specify the workout modes above. Again remember that there are no buttons there, the buttons are actually your shifts. So you iterate through the menus via your shifters. Of course, again remember while it’s certainly possible for them to retail their own head unit, their longer term vision is to be able to team up with someone to be able to do that piece of it. I’d agree. 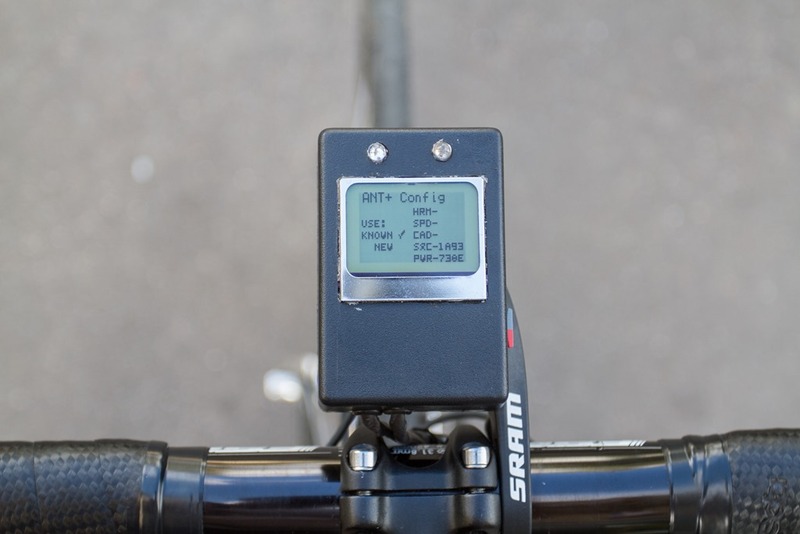 The productizing of a head unit is a rather complex endeavor that takes years of refining to get it even semi-useful for the type of cyclist buying a system like this, let alone truly competitive. Still, for a quick prototype, it’s definitely got some merit. Of course, everything to date I’ve discussed as been technology focused – and not so much a complete product. That’s because at this stage, there isn’t one. Nor, are there timelines or prices. Ultimately, Bioshift doesn’t really want to get into the business of making head units, or even making hardware. Instead, they’re looking for partners to take one or more of those pieces forward and bring it to market. On the head unit piece, that’s something that could actually live in a Garmin Connect IQ style application, should Garmin choose to expand it to the Edge product line. Because Garmin opens up an ANT channel, it’s something that would actually fit the exact requirements of Bioshift. On the flipside, there’s still some hardware aspects of it. Today, it’s not wireless when it comes to actually shifting the gears. Today that’s done by wires from a control unit to the shifters. The exact location and details of where/how those wires splice in though is something they’re keeping as proprietary. That’s driven more by increasing compatibility with existing systems than it is due to not wanting to be wireless however. 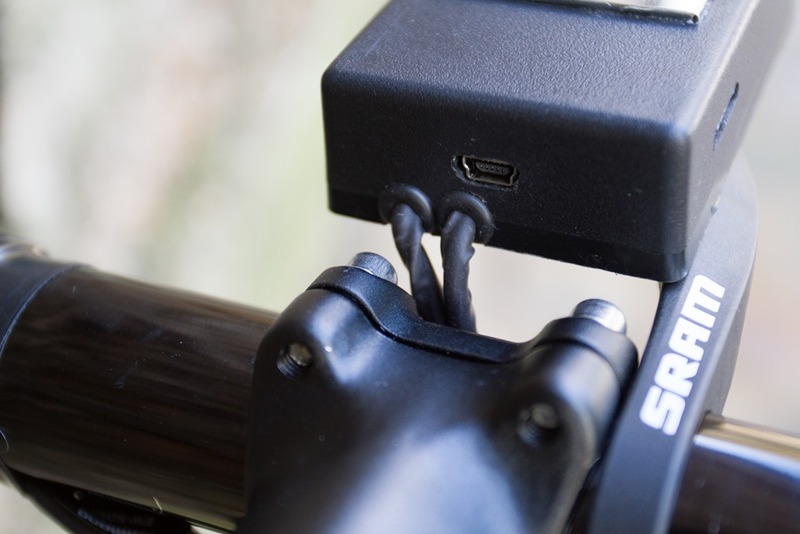 It’s simply that since even Di2 is still wired, there’s little reason to add a layer of wireless there. And, from their perspective, applying a wireless protocol (ANT+ or Bluetooth Smart) to a wired command set is actually a fairly straight forward technical proposition. Especially since they’re already using ANT+ today for a variety of tasks in the system. On top of that, they’re eyeing the recently formed ANT+ Shifting Control Profile Technical Working Group (but they haven’t committed to joining that yet). Overall, I’m impressed. By and large, the unit shifted when I’d expect it to shift. In my case, it was setup using some very big assumptions about my riding style and preferences. These setup options are ones I could easily tweak to get the feel more aligned to how I might normally ride my bike, while at the same time increasing efficiency of shifting. Of course, like any prototype – it wasn’t perfect. There were a few times where it seemed to be a little to slow to pickup that I needed a harder gear. Armando explained that could simply be tweaked in the settings control panel to be “more aggressive” in shifting. And he conceded that some of the algorithms in stop and go city riding weren’t quite as refined as they could be. But by and large, the imperfect shifts were actually fairly rare for me. But, it’s also important to note that as a triathlete my riding (shifting) style tends to be much more ‘smooth’ than that of a pure road bike racer. That’s because for triathletes the goal is very constant and measured power, versus a road bike racer will be simply following/leading a pack/breakaway. Still, it’s clear to me that one way or another I expect to see wireless shifting and likely automated control hit mainstream shelves in the not to distant future. Anyone who thinks otherwise is really just fooling themselves. The areas that still need to be resolved though won’t likely be technical – but rather policy. Will, for example, the UCI block the technology? That would greatly slow adoption in a sport heavily lead by Pro Tour teams using technology. But, despite all the automation that you’ll find on bikes – that doesn’t mean you don’t get to do anything. 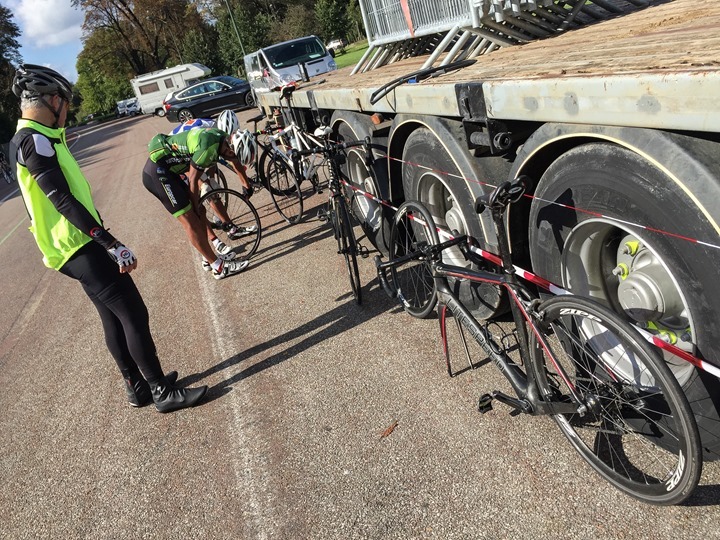 My test ride illustrated that quite nicely when I managed to double-flat (two different wheels at once) – effectively ending the test ride (and, also, making us change flats rather manually). Don’t worry, we were in good company at the time with other flatters. Still, like many other pieces of bike technology, I expect that within a few years this will be roughly on the same adoption rate as Di2 is today. 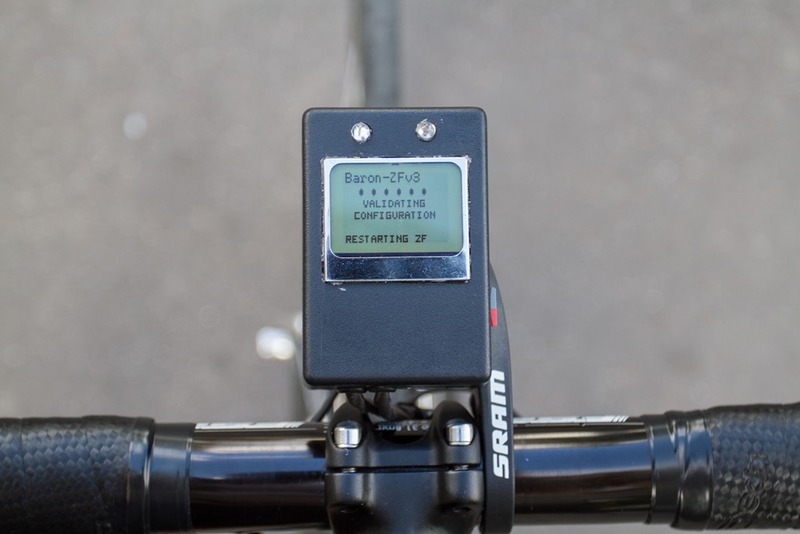 If however we see SRAM’s wireless shifting system come to fruition, then having autonomous shifting (from Bioshift or otherwise), will likely be adopted significantly faster than Di2 today – simply because it’ll be easier to install than running wires. Since this can hold a specified wattage, could it be a substitute for the Wahoo KICKR? The methods we use are different than a trainer like the Wahoo KICKR. 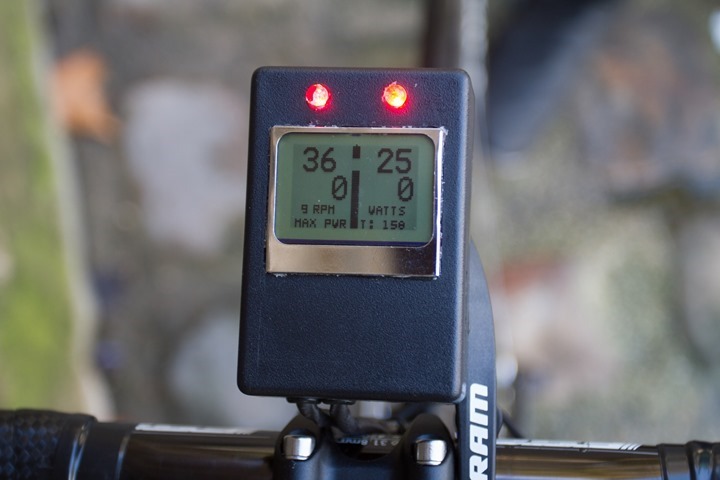 The KICKR can control resistance to enable you to maintain a particular wattage. Bioshift uses gearing to achieve a similar but indirect result. It will shift the gears in such a way as to help the rider maintain a particular power level. Of course the methods are different, but isn’t the result the same? What advantage would there be to owning a KICKR if an athlete has a regular trainer and Bioshift? Would be nice to have on my Nuvinchi. Just curios if it would work for off road mountainbiking? Mountain biking would definitely be a great application of this. So many times have I come around a corner in a technical section, only to discover that I’m in the completely wrong gear and don’t have time to react because I’m getting in the right position to tackle an obstacle. Bioshift can’t see around the corner any better than you can. There’s no way that it could identify the need to shift any earlier than you could. Nice review. I’m really looking forward for this to hit the market. I feel myself like eddy merckx, complaining about all that tech stuff, and saying… just keep on going. If I were to be the CEO of Wahoo, Sram, Shimano… you name it, I would hire this bloke ASAP! Come on, this might be the most revolutionary idea (bike wise) of this decade. I was thinking the other day how awesome it would be if the Di2 components would start shifting automatically. 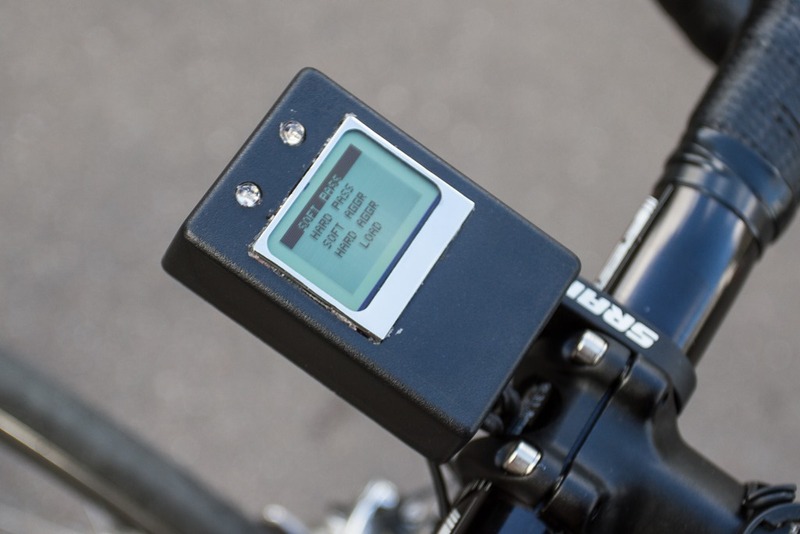 I figure that if you have all the goods (Di2, power meter, cadence sensor, etc) this is a fairly cheap function to introduce, and it will lead to a next level performance and goal achievement scenario. Major props for this lad to come up with a such awesome device. Looking forward for this to hit the shelves! IMO (without knowing anything about his business), that would be one of the best possible outcomes. Unless he has “bulletproof” IP on this, I don’t see how one of those companies won’t be able to do it better given enough time. Yea no, i had this exact same idea several years ago, the idea is not original or new. This is simply just the first product that has come to market. I’m not saying its easy to make such a product, but baron biosystems is in no way responsible for the idea. Its actually quite simple when you look at it objectively, a microcontroller, various sensors recording data, and a bit of programming. The only challenge here was hacking the CANBUS so that the controller box can communicate with the di2 head unit and derailleurs and thus send shifting signals. chances are it was patented years ago. But yea, there is absolutely nothing stopping campy/shimano from patching this out/encrypting the shifting signals to make this sort of aftermarket hack unfeasible to do. and they’ll do that until they come out with their own systems that do the same thing. the whole point of di2/eps products the way they are currently engineered is that you have to buy the whole system (unless you do some hacking like baron biosystems). 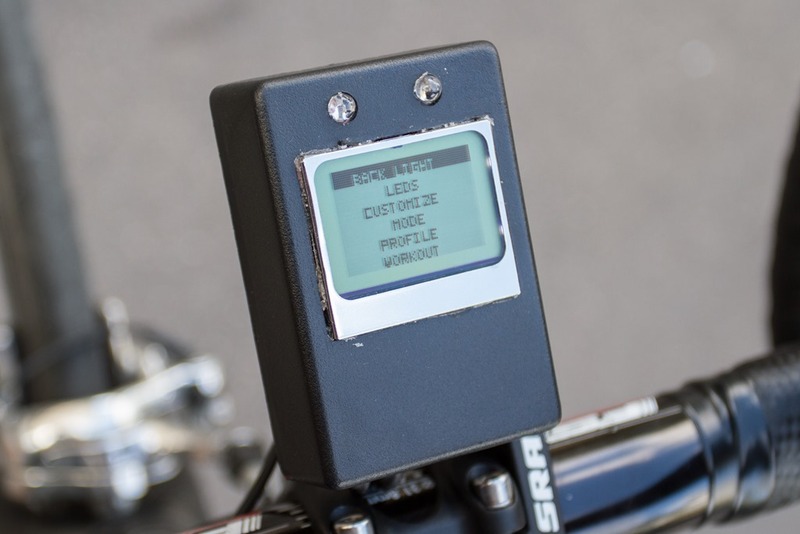 they’ve locked it down to minimize hacking/aftermarket parts, otherwise you could just buy the rear derailleur, some buttons, a battery, and an arduino and have a working di2 system…. 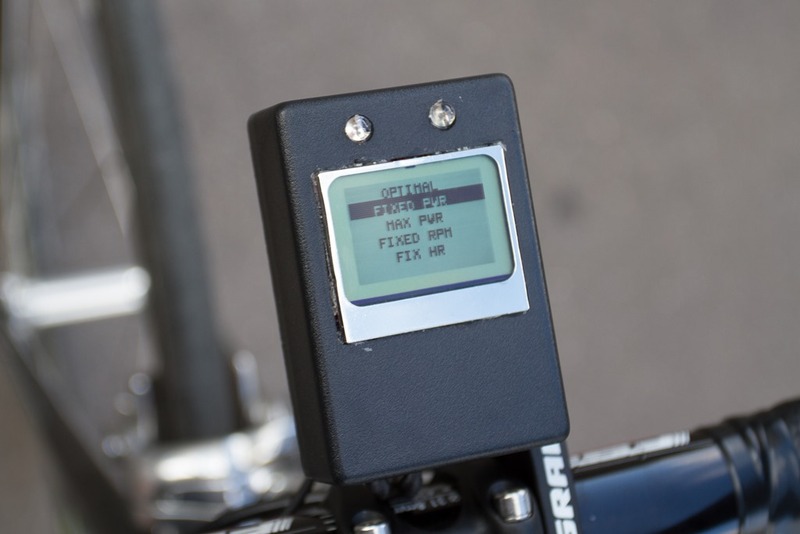 You can easily open an existing Di2 circuit board and add an additional switch. The added switch then triggers the original OEM circuit board. No hacking necessary. It seems like the value here is in the algorithm and triggering the shifts especially if their business plan is to get bought by Shimano. They don’t need to hack CANBUS unless they want a plug and play system to sell directly to consumers. How does it go about maintaining the targets in Fixed power and Fixed HR? For fixed RPM it seems obvious that if RPM is too high it shifts to a higher gear and vice versa, but what does it do if power is too high or too low, and if HR is too high or too low? If power is too high does it shift to lower gear? If HR is too low does it shift to a higher gear? Nice review and interesting setup. This would certainly be an item on the buy list as I constantly work on smooth shifting to keep a steady wattage. Though you can get pretty good at smooth manual shifting, it certainly is not optimal from an energy efficiency stand point. 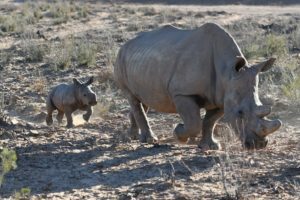 Beyond the potential for partnering with a larger vendor to produce the Bioshift, it is unclear if this is a pure R&D effort, or if there is a more definite time line for go to market. I was one of the early adopters on the Di2 which is now fairly mainstream, yet can’t tell if it will be two or more years out before anything like this finally hits the market. Also, the other note above about moutain bike use is a good question. Not sure if there are industry numbers available, but it does seem that the Di2 received a significant bump in use when manufactures started equipping mountain bikes. I’m not so sure mountain bike Di2 will have had a meaningful impact yet. It’s only available in very expensive flagship XTR spec far as I know as an ill-informed road bike rider (Mountain Bike Dura-Ace equivelent). 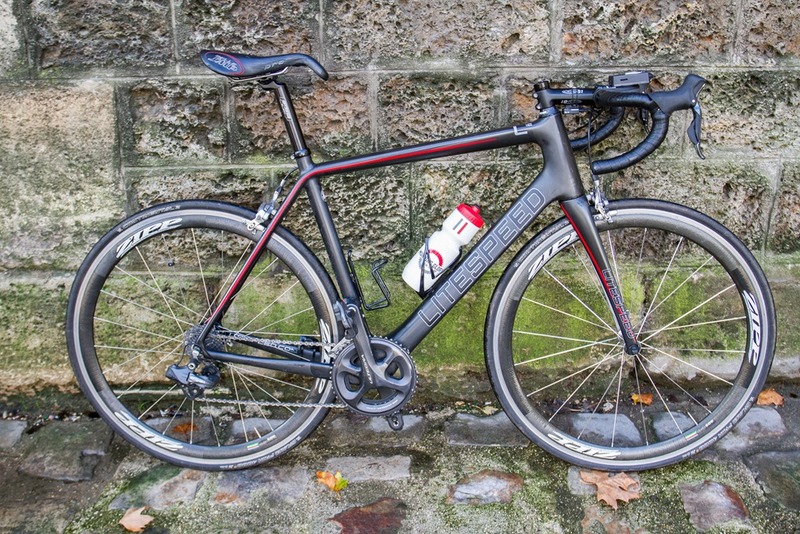 I think the availability of the much cheaper Ultegra spec Di2 on mid range road bikes has been the big driver in Di2 adoption, as this brings it to a much more mainstream price point. Right, Shimano is producing the specific XTR version for mountain bikes – hence only loosely using the Di2 moniker as a reference. Still, it was interesting to see how creative mountain bike builders where by taking and adapting the Ultegra Di2s early on – That was surely part of the reason XTR was developed. 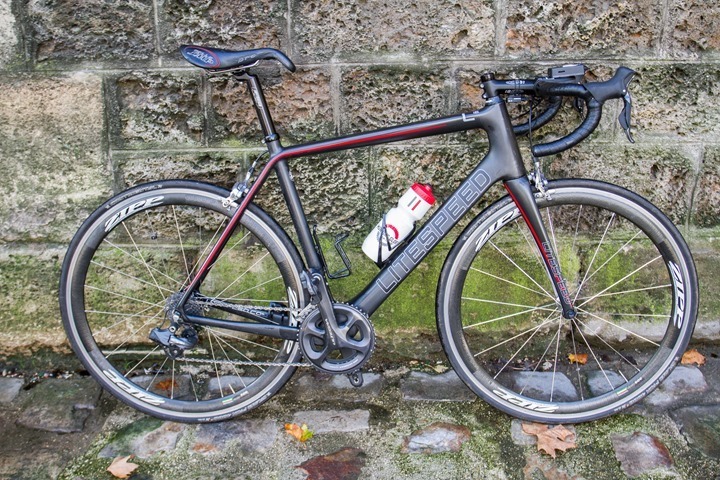 The use case for road bikes makes sense with respect to wattage, cadence and heart rate. Mountain bikes would be a different use case related rapid change in terrain while trying to maintain wattage. Sooner or later someone will provide a Bioshift-like solution in this space too. 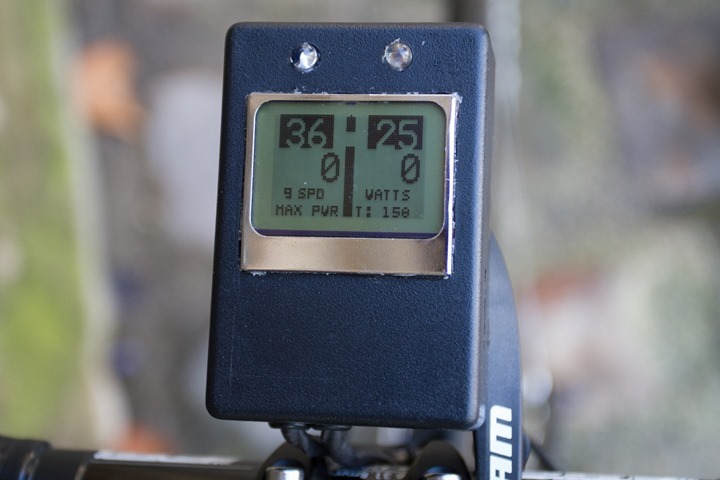 But it can shift gears to make it easier for you to hit your power target when you’re below it or reduce your power output when you’re over it. Same applies to HR. The shifts may go in either direction – up or down – to achieve that. you might as well tell everyone how you hacked the CANBUS/interface with the derailleurs before someone just takes apart the unit and posts it anyway………. As noted by others, there’s a fairly substantial part of this that is more than technical interconnects – but rather focused on the actual algorithms of the platform that enables efficiency shifting. It’s one thing to simply change gears to maintain a given cadence/wattage/HR, it’s another to optimize gearing outside of that. Ummm.. Automatic shifting of powered vehicles has been around for years. If this “invention” was some new way of optimizing shifting, he should not waste time in the cycling market. Sell it to the auto industry and make 10,000x the money. Either that, or it really isn’t any “revolutionary” shifting algorithm. 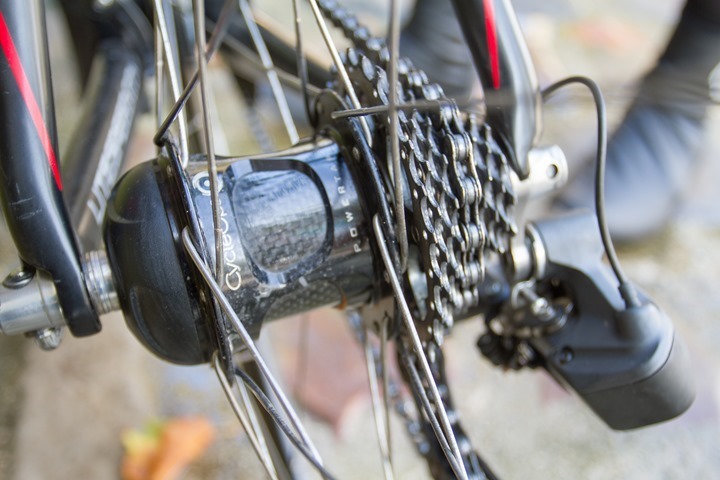 Automatic transmissions primarily are of an advantage in racing cars to eliminate wheel spin out during the start — something that most cyclist do not encounter. Other than that, racing drivers use manual shifting — for all the same reasons cyclist use manual shifting. (Note, paddles are not “automatic” transmissions). But with this invention, no doubt racing cars will also see a performance improvement — given that this device optimizes power output for a given RPM using magical “algorithms” that have eluded all developers of automatic transmissions for over a century. This will work great with my pair of ruby cycling shoes that if you unclip 3 times quickly will teleport you to the front of the pack — I would release them to market now, but you can see the problem — when they teleport you to the front, you are still uncliped. Expect to see the ruby shoes about the same time as an efficient automatic shifter. Umm…the point is to optimize for the human body, not to optimize for cars. Last I checked, they were different. 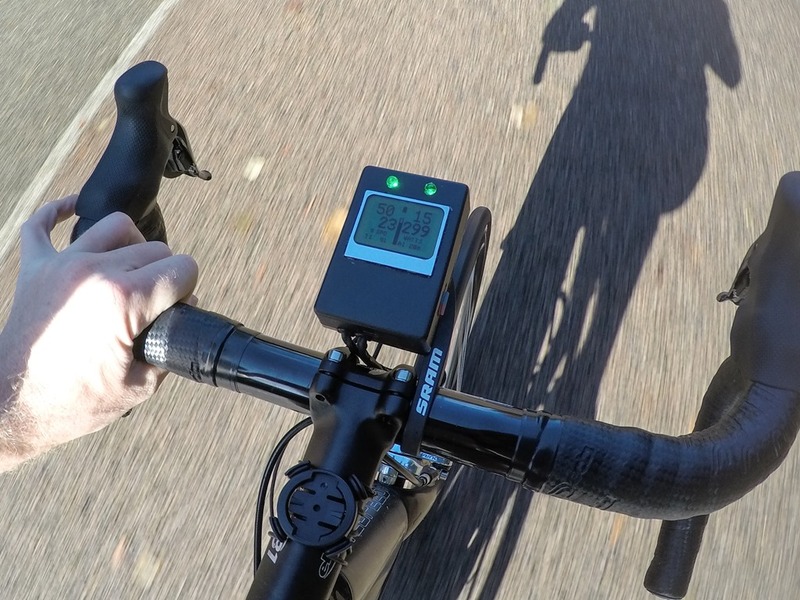 I’d love to see Ray review your new proprietary wireless shifters and even report on your new Xert software. 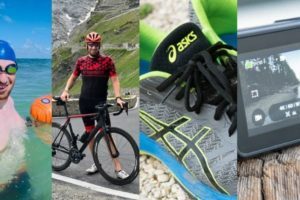 Will Xert work with the Stryd running powermeter? 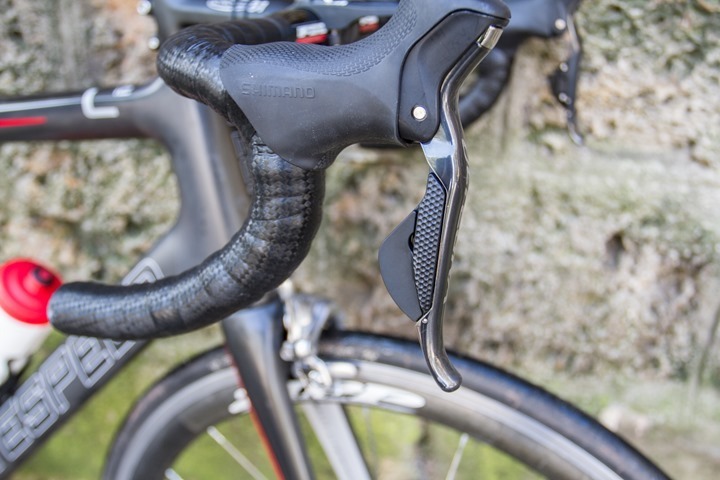 Will the shifters be compatible solely with shimano di2? I’m very much looking forward to the release of your new products. Thanks! I have an account on Xert, just switching modes next week into using it. And, also some discussions on wireless shifting too (took another recent ride on that). Thanks! really looking forward to these upcoming reviews and holding out for Bioshift over Sram eTap. Xert really has the potential to be the best ‘coach’ ever created. This might be a bit much, but if the computer in the seatpost knew the workout and while completing the working the athlete was having difficulty or was overly-succeeding, it would be neat if the onboard Xert could alter the workout on the fly. If Bioshift ‘learns’ the users habits, I guess I see this par for the course for Xert: learning technology, the user’s ‘ftp’ fluctuating each day and the workout as well, accordingly. Another quick thought: I know Di2 is proven and such a safe bet, but a thought I had concerning the derailleurs used for Bioshift is that the new Rotor hydraulic system could be an interesting option in addition to Di2, down the road (in addition to Campy and eTap). With Rotor, the wireless shifters would communicate with two servo motors in the seat post, one for front and one for rear derailleur, that move the hydraulic fluid. The advantages are two-fold: the battery would last significantly longer with such a simple set up and, second, the weight of the system would come down. The battery could be smaller, saving weight, and, as it is, Rotor is claiming a 370g savings over Duraace Di2. That’s big! For Bioshift to weigh less than mechanical Sram Red would be quite the accomplishment, seeing how their are claims that Rotor’s shifting is on par with Di2, including front derailleur. And this would also allow us mechanical brake folks to use Rotor! 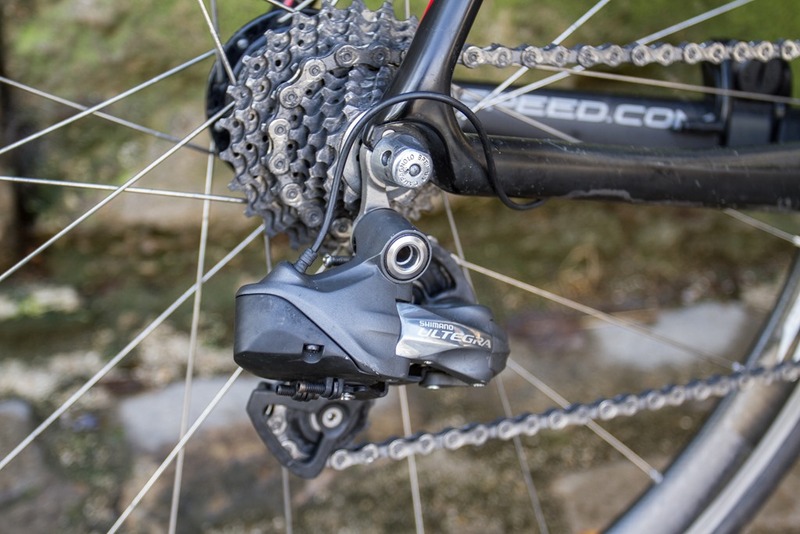 hey, I’m not giving up my EE brakes until hydro-disc are mainstream, but I am drawn to the Rotor derailleurs. edit: it looks like Xert mobile is proposing to do exactly what I asked about: live workout feedback. great stuff for triathlete, especially for long distances ! 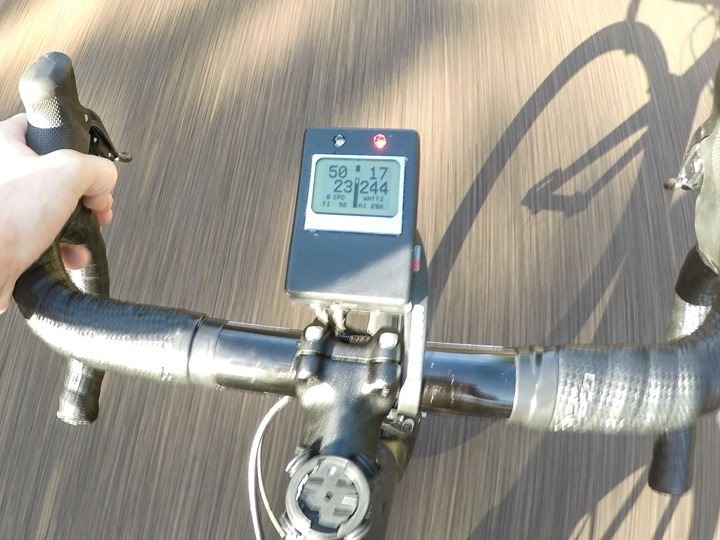 Keeping a constant wattage on the bike is a key for a good run ! I want this 🙂 ! I hope their business plan doesn’t depend on UCI acceptance. 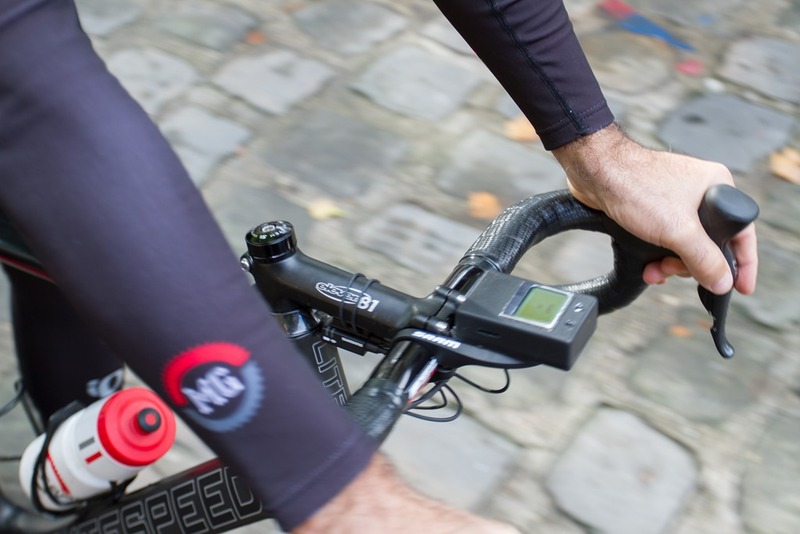 The current UCI approach for accepting new tech under Dimitris Katsanis seems to be to support the development of an ISO standard to address the tech in question (take several years at a minimum), and then take a few years to evaluate manufacturers’ parts made to and tested against the new standards. So one of the million dollar questions for UCI acceptance is if this tech is covered by an existing ISO standard, or requires a new one. This approach is lethal to the market prospects of new tech that depend on UCI acceptance from any firms other than the very largest that have the resources to navigate such a long process. The current process beats the previous UCI “just say no” approach, but I wish it were more agile. Yeah, using ISO standards for sports technology of any sorts is completely wonky. This isn’t a manufacturing facility whereby process of tooling changes slowly. Crazy. I wonder if this would be legal to use in bike races/triathlons. Even if not, I can still see the benefit of helping you stay in the right training zone during training. I’m not aware of any rules, at least in triathlon (USAT/WTC) that would preclude this. I have a friend who owns a GT Autostream, which automatically shifts. (There’s some sort of flywheel attached to the rear derailleur. I’m guessing the shifts are caused by changes in cadence.) Admittedly, the system is a little too reactive. It doesn’t change to an easier gear until she’s already part of the way up a hill. Few times I borrowed and rode a very old city bike. That thing had 3 speed internal gear hub with that would auto shift. I wish I could remember the maker of that hub. Well the company is probably long gone anyways. For city riding it was perfect. I remember reading about a similar bike (maybe the same one?) many years ago. It had two cool “features”. 1. The freewheel was moved to the cranks so the chain was always moving if the bike was moving. This allowed changing gears while coasting. 2. It had weight(s) that slid along the spokes on the rear wheel. As the wheel spun faster, it would pull the derailleur into a higher gear. Conversely, as you coasted to a stop, it would always down shift to the easiest gear. It did not shift the front derailleur (not even sure if it had one). I thought it was a brilliant idea at the time. But I didn’t bike back then. That autoshifting bike you are thinking of, with the weights that slid along the spokes, was called “The Autobike”. They sold it on late night TV via infomercials, which were pretty hilarious. All sorts of “pro” cyclists and mechanics swearing that the $250 mechanical nightmare put their top race bikes to shame. I had the displeasure of working on them a few times myself and, while I have to admit I had a certain admiration for the Rube Goldberg engineering and creativity, they just couldn’t be made to work very well. Besides being heavy, having poor tolerances, etc…like you would expect on a bike of that price, the autoshifting was totally regulated by speed, so it would shift unexpectedly under high pedaling load. Also, there was no “indexing” if you will, on the models I saw, so it was possible to ride at a speed between gears and it would jump back and forth until you either sped up or slowed down. Anyway, enough with the trip down memory lane. And just to be clear, I fully acknowledge that this new electronic setup in the post opens up a whole new world of possibilities and solutions, wholly unlike previous attempts at auto shifting. Great review, as always, but the question I’ve gotta ask: is the saddle SUPPOSED to look like that??? Or are they hoping to land Viagra as a partner? You already configure what chain rings and cassette you have so it can calculate a gain ratio / gear inches table. Even without a power meter it could intercept shift requests and calc which is actual “next gear” — irrespective of how that should be achieved e.g. a single rear shift or chain ring up 1 & rear down 2 to get the next optimal gear. Obviously wouldn’t suit everyone but would make a great ‘bonus’ feature. that “next gear” step up functionality was already done with 9070 di2. it was a microcontroller that would do exactly as you said, using speed and cadence measurements, a shift signal would not shift the derailleur outright, but the microcontroller would interpret said signal and calculate the next logical gear ratio and send shift signals to do just that. In addition to what Matt H mentioned, XTR Di2 offers this sequential shift functionality, so it is already out there if you want it. Hopefully we will see integration with defined workouts (i.e. Intervals). For racing, accepting a download from your coach or Best Bike Splits would be very interesting. 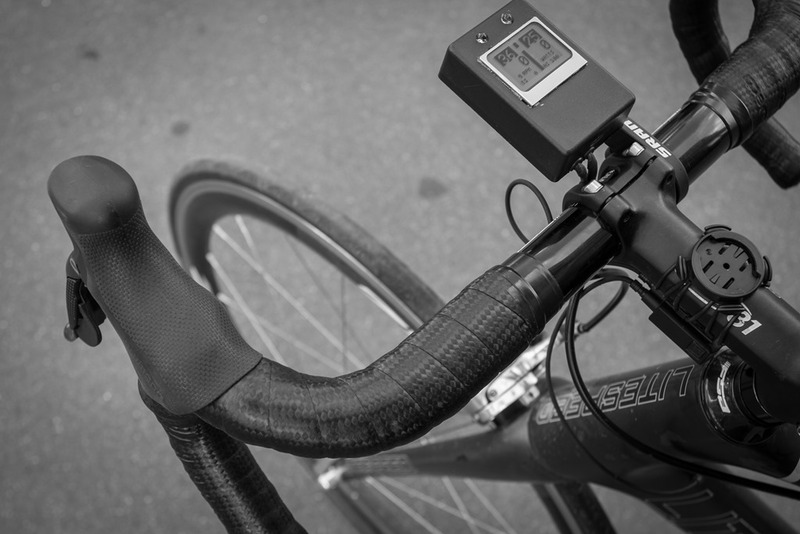 Add a barrel adjuster or slider button to adjust aggressiveness of the shifting on the fly. That way you can warm up at a low cadence and low power and then start pushing it towards “race mode” as you get into your intervals or whatever later on. Make it like a grip-shift shifter so that you don’t have to fiddle with buttons and crap. Just a click and a number from 1 to 9 or something like that. This is because even the same individual doesn’t ride the same way even during the same workout or race. This looks fantastic. Would this make my D Fly redundent though too? Just bought it. I am absolutely amazed that it takes a third party to do this (and it looks like they’ve done a fabulous job, too!). You would think that Garmin and Shimano would team up to do this and incorporate this into the Edge 1000, and the wireless D-Fly unit. As well, there are hidden buttons on the top of each Dura Ace 9070 Shifter, that could easily be integrated into the operation of the Edge 1000. All of this is clearly possible, and with Shimano and Garmin resources, surprisingly not done yet. 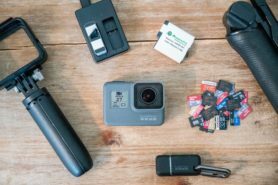 Seems like these companies (not unlike many technological companies), think of the hardware as a solution, as opposed to the complete user experience. Shimano and Garmin are definitely working on such things themselves. Nothing about this box is proprietary or special (except how it interfaces with CANBUS). 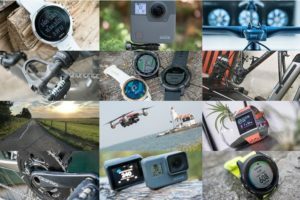 Shimano and garmin will come out with their own versions, and they will be better, more integrated, and a lot more expensive. Ray, minor typo: “gas or breaks” should be “gas or brakes”. I’m still in love with my manual cable shifters and the loud ‘clunk’, but just thinking ahead here a bit about something that is probably useless to most, except Strava addicts 🙂 Imagine the technology interfacing with a GPS unit, power meter, and particular segments, thus shifting accordingly to help you accomplish a goal time on any particular segment. That may be just pretty cool. Agree, it’s a great idea and implementation. But it seems that just with a Shimano Di2 and Edge1000 (and Garmin Connect iQ if ported to Edge line, as Ray says) it should only be a matter of software implementation to get to this point. 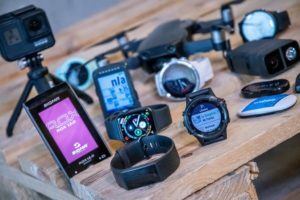 Said the other way around: this article should help Garmin to realize they should hire right away the Bioshift team!! This also serves to re emphasize a point that Ray made in the key note presentation. Consumers expect integration. I assume that most have their ride data saved to a cloud. 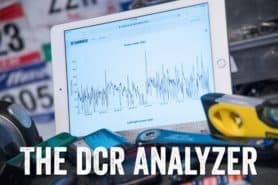 The statistical analysis and use of this data would allow this system to adjust the shifting to the riders power profile, and in fact could predict how that persons power profile changes over the course of a training season. That way the shifting map would automatically adjust. But of course there are about 10 different clouds, 10 different file formats, 10 different protocols,,,,,,,,,sheesh! I have tons of respect for inventors like these guys. I can only hope they have their patents on the algorithms and the whole system. That is because I don’t think once you have the algorithms (and even those can be created) it is such a difficult undertaking to make a product like this with any decent micro controller (even an Arduino would probably do). The money for them must come through licensing and they better have that protected. At the same time thinking in how slow Garmin (highest volume for head units) is in adopting new tech and opening ANT for new profiles they must have a long breath to survive until fees come rolling in. I haven’t bothered to check whether they are startup or already have a revenue stream that keeps them going. Is there any plans to incorporate GPS map data into the gear selection algorithms? For example, it would be great if it could predict the need to shift to the small ring before you hit the steeper gradient, for a much smoother shift. I understand some car gearboxes now do this to help manage shifting, for example holding a gear instead of downshifting if the upcoming road will be better suited to it. We have a number of new features in development at the moment, some of which will make the technology even more broadly applicable as well as incorporating data from other sensors into the algorithm to predict and anticipate certain gearing demands. From my perspective, something like this would be the rising tide that floats all boats. I would buy this. Today. 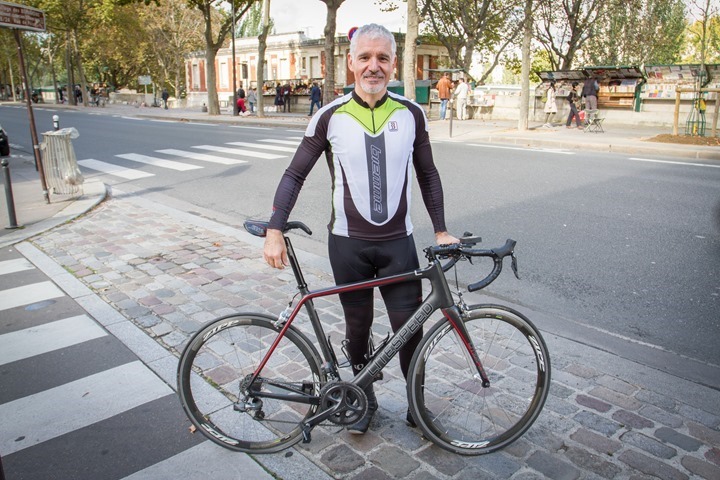 I’m a 47 year old former couch potato that started running and cycling about 4-5 years ago. I bought a $1400 internet special road bike with a generic frame but good components. I’m now fully bitten by the fitness bug, and ready to buy a “real” bike, but two years ago I decided it would be cool if the bike shifted by itself to keep me at a steady cadence and/or heart rate. And now here it is, but who knows when it’ll be available? The day this system is available, I’ll buy a new bike and whatever it takes to get that system. In my mind, the entire bike industry wins – Trek/Specialized etc will sell me a bike with absolute top of the line Shimano/SRAM components and Garmin/Somebody? will get a sale of the related head unit. Does this thing take into account the power applied to the pedals when doing the shifting? I would assume that shifting (especially the front ring) under great power increases the chance of the chain breaking or other problems. The last it will introduce excessive wear. Racing motorbikes have a cut-off switch couple to the shift lever, so that a fraction of a second before you make the shift, the power is cut. Something similar could be done here, since the power data is already there. When a shift is needed when under a lot of power, a light could light up informing the rider that a shift is needed. When the rider eases up a tiny bit, the system shifts. I’m surprised to see so many excited comments about this… it must be a triathlete thing maybe? 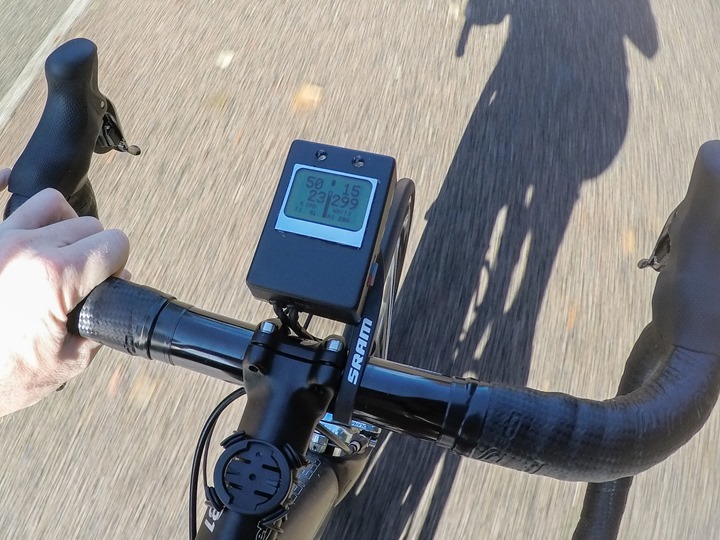 Seems like a decent idea for holding your wattage/hr/cadence/pacing or whatever you use for a steady-state ride, I can’t imagine many roadies wanting something that shifts for them, especially if they may not be expecting it. I have Di2, so I’m no luddite, but there’s no way I’d want any automation in it. I mean, you know what gear you need to hit your numbers… right?! Yeah, except the guy that just won the Ironman World Championships did it with manual shifting and no power meter. If he’s the best, why does everybody else need it so badly? It would be like taking a wahoo kickr or computrainer on your outdoor ride. But without the variable resistance of the trainer unit I wonder if it’s any different than riding to a preset 10-second power average. Meaning this system does not offer infinitely variable gear ratios. I do look forward to seeing this product develop. 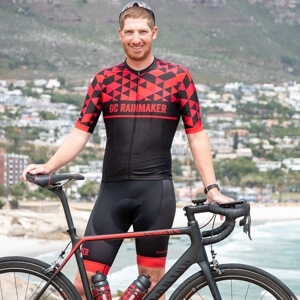 As a technical guy, I really like this idea, but I wonder if I’m the only triathlete who has serious doubts about what this will do to the sport. In my mind, its one thing for something like Best Bike Split to tell me what power I need to hit, and then to go out there and work to hit that power, but it’s a completely different thing to have a computer working to help me hit that power. If everyone ends up having automatic shifting, then doesn’t it marginalize the bike leg? Maybe I’m wrong, it just feels like this is taking things a step to far. It would be cool to see it on a triathlon bike. It could save your legs for a run but I would want to see a function that would allow me to take manual control incase I need to attack or hold off an attack. I love it. I can’t wait to see this come along. “It’s just like hitting the gas or breaks when your car is in cruise control”… “Breaks”? Do you guys have someone who can proofread your articles, at least to catch the most hilarious errors? This looks brilliant, has been rumoured for years that someone will develop it, and if they can get it working wirelessly then the implications for pacing for athletes in long distance races are amazing. Great for the average joe fondoer but what about the tuesday night crazy crit rider? How would it fair into and out of a corner so you can quickly spin back up to speed? I imagine it could be great for crits. Not so far off it “learning” your shifts on the first lap or so and then using GPS to automate them all subsequently. Nissan/Ferrari/?others do it at present with adjustable suspension. I wonder if the unit should gain a 2-axis inclinometer to finesse the algorithm? The possibilities seem endless…. I’m looking for a project I saw a few month ago, automatic shifting like the bio-shift, but on a Mountain Bike. Ay updates on bringing this to market? They are from my area, and a recent request went out for beta testers of the system. No, it’s only for Shimano Di2 and SRAM RED eTAP unfortunately. Now this is out there are there plans for a full review Ray? I am looking to get a green speed aero. Is is listed with a 3 gears at the front. 10 in the rear, it has the Shimano (I thing) 150. As I am not shore about that. But I am looking to get started with the ProShift in about eight weeks. I need to know what I need to get to use, as I want a recumbent trick.